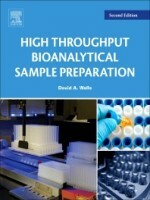 High Throughput Bioanalytical Sample Preparation: Methods and Automation Strategies, Second Edition, is the go-to resource for industrial analytical chemists and others seeking the latest techniques for optimizing sample preparation in their everyday workflow. Featuring detailed coverage of the newer techniques that have emerged since the first edition published, including micro sampling and molecularly imprinted polymers, this book addresses the workflow pain points associated with extraction process efficiency, outlining exactly how to optimize productivity through enhanced method development. Combining a step-by-step approach with a thorough explanation of the technology, this new edition features 40% new content and 60% revised content, accurately and thoroughly capturing the latest developments in research since the previous edition published in 2003.